Borough residents with an average assessed home will see a $84 annual increase in municipal property taxes. At its latest meeting, Berlin Borough Council adopted the 2018 general, water, sewer and open space budgets. The general budget is $8,846,386.47, the water budget is $3,332,700, the sewer budget is $865,700 and the open space budget is $110,950. Borough residents with an average assessed property of $233,900 will see an annual increase of 3.5 cents per every $100 of assessed property value, leading to an annual increase of about $84 in municipal property taxes. Also at the meeting, Council passed a resolution in support of the borough’s request for a Transportation Community Development Initiative grant from the Delaware Valley Regional Planning Commission or DVRPC. The submission projects innovative ways to make downtown Berlin, including the White Horse Pike, more “multimodal,” improving the transportation experience for pedestrians, cyclists and motorists. The grant is a planning study, allowing the borough to create a proposal that can be shown to the state Department of Transportation. “In order to show the need for that downtown area to be more walkable, so that way our businesses can actually get customers,” said Mayor Jim Bilella. Ideally, the revamped project will make the district safer all-around, particularly for pedestrians crossing the Pike. In the borough’s submission, the Downtown Berlin Revitalization Project wrote a letter of support to the DVRPC. “This gives some extra points to show that it’s not just the municipality in support for this — that there’s also grassroot support of it as well,” Bilella said. He says the borough expects a response from the DVRPC by July or August. Along the lines of urban renovation, Councilman Dan MacDonnell, chairman of public works, streets and roads, presented an update on the road program, which is funded every year by NJDOT. The project is under a design finalization stage and will go out to bid in June with construction starting in September. This year’s road program will be larger than prior years’ projects, because NJDOT funding has increased due to last year’s 23-cent gas tax increase. There’s another study embedded within the program, which evaluates all the streets in the borough’s downtown area, spreading from the White Horse Pike to Park Drive and from Thacker to Broad avenues. The borough is considering implementing traffic calming in those areas as part of the road program. MacDonnell says a public hearing will be scheduled for the residents of that neighborhood as a chance to provide feedback to the engineer, who will be presenting traffic improvement options related to the road program. “We’re trying to work together with everyone in the community in order to get that problem solved,” he said. 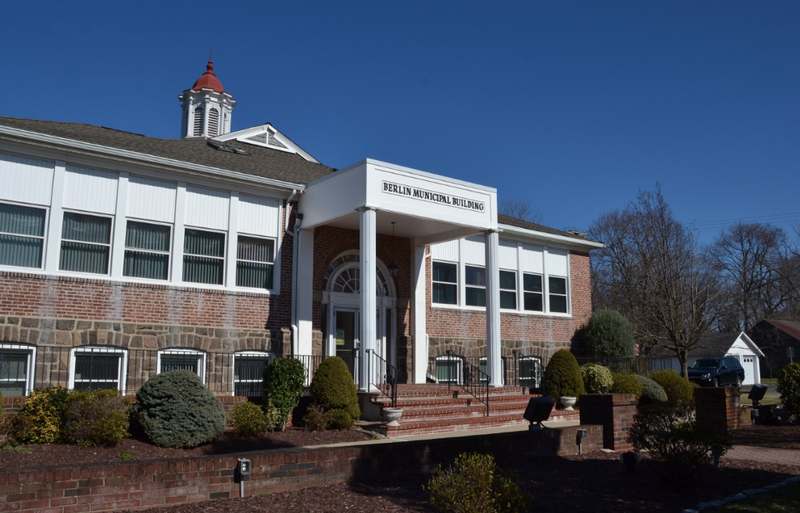 On second reading, council passed a bond ordinance authorizing the purchase of various capital equipment, along with the completion of various capital projects throughout the borough for a total of $820,440. On second reading, council passed an ordinance authorizing the lease of land and the building located at 11 Jackson Road to the Downtown Berlin Revitalization Corporation. On first reading, council passed an ordinance that would potentially amend the borough’s towing laws. If the code is changed, a $50 storage fee would be charged for the release of impounded vehicles. Construction of the new walkway lighting along two concrete paths near Franklin Avenue Fields is almost complete, as Buchanan says there was a delay in finishing the project due to moisture in the area. The trails, which will include nearly 80 four-foot bollard LED lights, gives way to the Berlin Community Center, Berlin Community School and, eventually, the revamped Berlin Farmers Market.